Nestled between three much larger countries in Western Europe is the small nation of Luxembourg. Overlook it at your detriment however, as visitors are welcomed with idyllic and peaceful landscapes, classical cities and towns, and some of the continents most impressive castles! When should I visit Luxembourg? 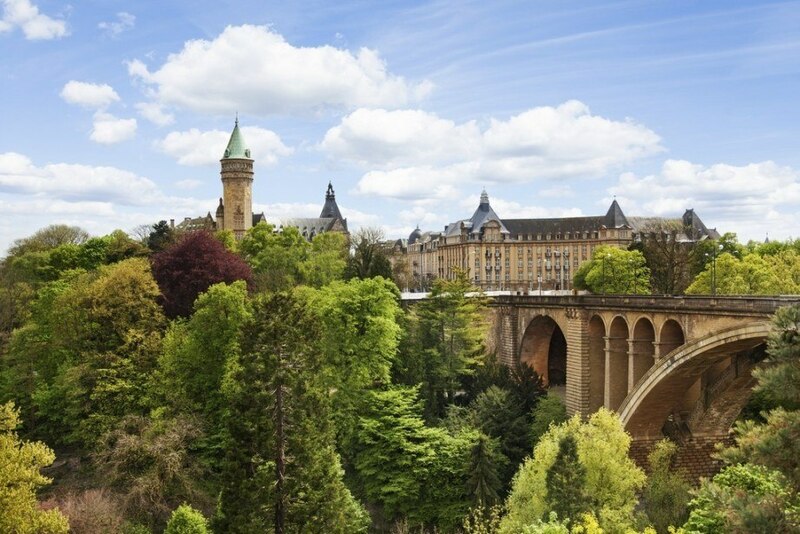 Late spring to early fall is the best time to visit Luxembourg. That being said, you can expect summers to get pretty hot – mostly due to the country being landlocked. Overall though, there will be more stuff do and see during spring, summer, and fall than in winter. Luxembourg is located in Western Europe, sharing a border with three larger countries – Germany, France, and Belgium (the latter of which is also one of the ‘Low Countries’). 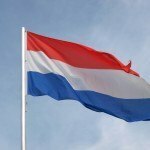 How do I travel in Luxembourg? Luxembourg is relatively small, but of course you’ll still require transportation to get around. Buses are the most comprehensive option while trains are decent for connections between Luxembourg City and a few outlying cities and towns. Perhaps the best way to travel however is by car. As the country is relatively rural outside the capital, renting a car affords you the best opportunity to explore and see every little village and hamlet for yourself. 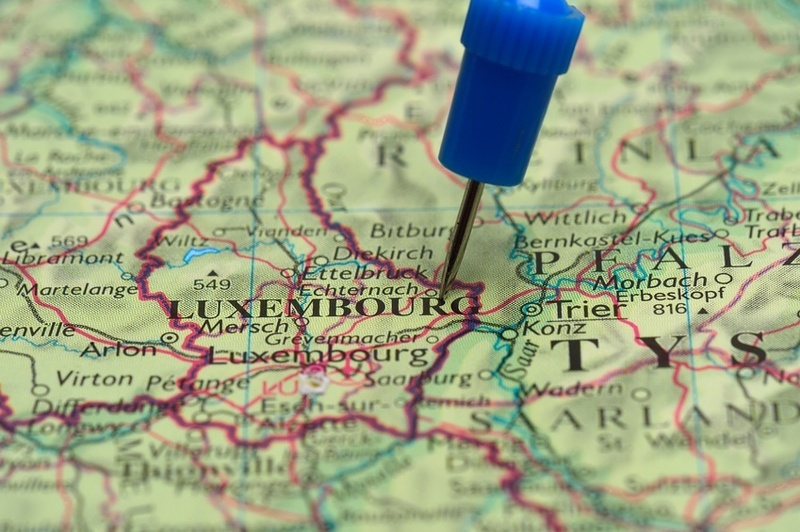 The three official languages of Luxembourg are Luxembourgish, French, and German. The first is generally considered a variety or dialect of German and is largely the mother tongue of the country. Luckily, most of the population is taught and speaks English, so you should be able to get by (especially in the City). For most who pass through Luxembourg, Luxembourg City is the sole destination for pleasure or business. Despite a reputation as a strictly business-centric capital, you’ll quickly find that this is actually a misconception. Built across cliffs and gorges, the city makes the most of its spectacular setting with a relaxing atmosphere perfectly juxtaposed to the imposing fortifications and cityscape. Indeed, the old town and forts are a must-see attraction deserving of their World Heritage status. There’s plenty to explore during the day, and you’ll also find that the food scene is quite robust, with plentiful options for great dining. Outside the City, you’ll find that Luxembourg is mostly a collection of picturesque small towns and beautiful landscapes. 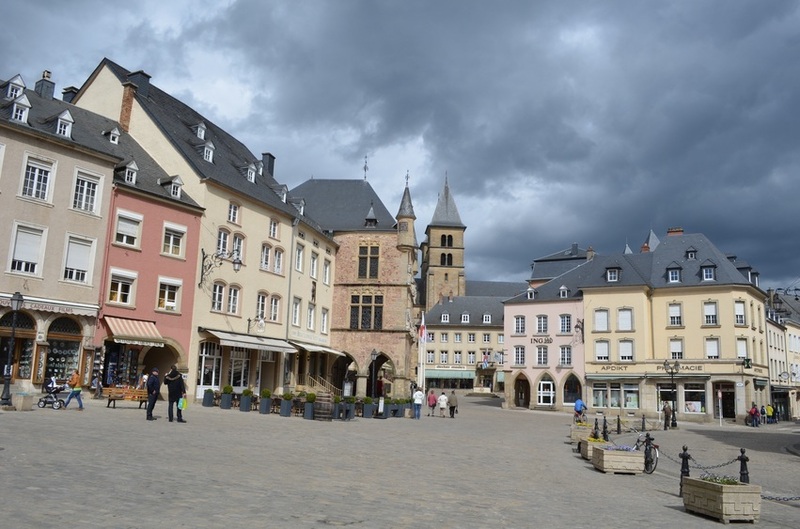 The town of Echternach perfectly encapsulates this side of the country. 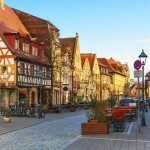 Located near Germany, the town itself is home to a pretty square and a history of monasticism that can still be seen today. Venture outside of the town and you’ll find an idyllic countryside ripe for hiking and biking. The pace of life is slow here, but there’s a certain charm to the carefree atmosphere that will draw you in. 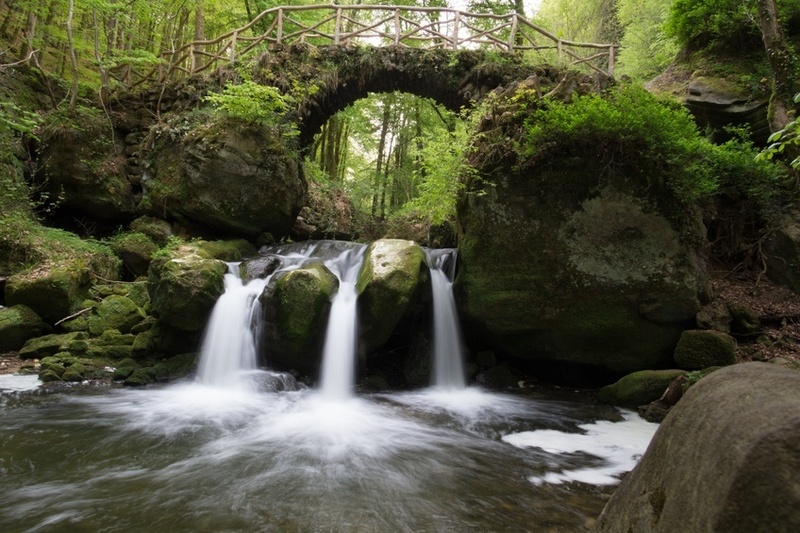 To see the best natural sights Luxembourg has to offer, you have to pay a visit to Müllerthal. 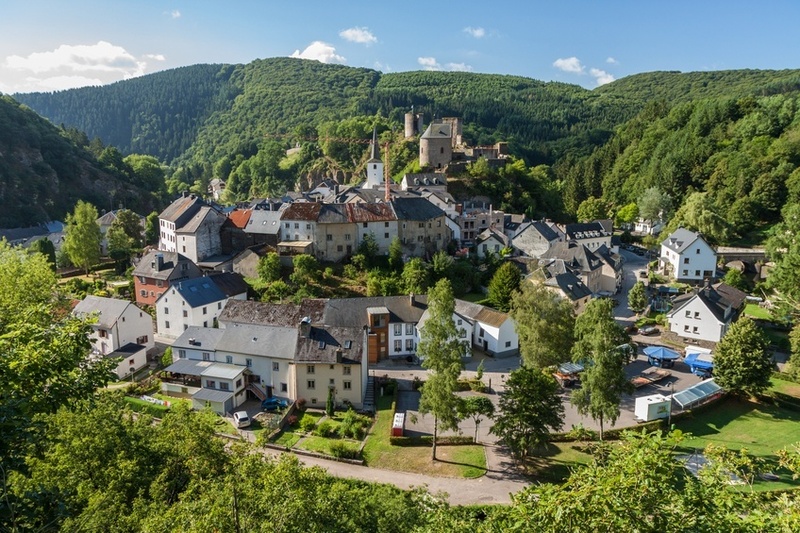 A beautiful land of forests, streams, rivers, and even the odd castle or two, Müllerthal is the best place in the country for everyone from serious hikers to those just looking for a pleasant afternoon stroll. While not as impressive as some of Europe’s more mountainous regions, Müllerthal is one of Luxembourg’s many hidden gems. 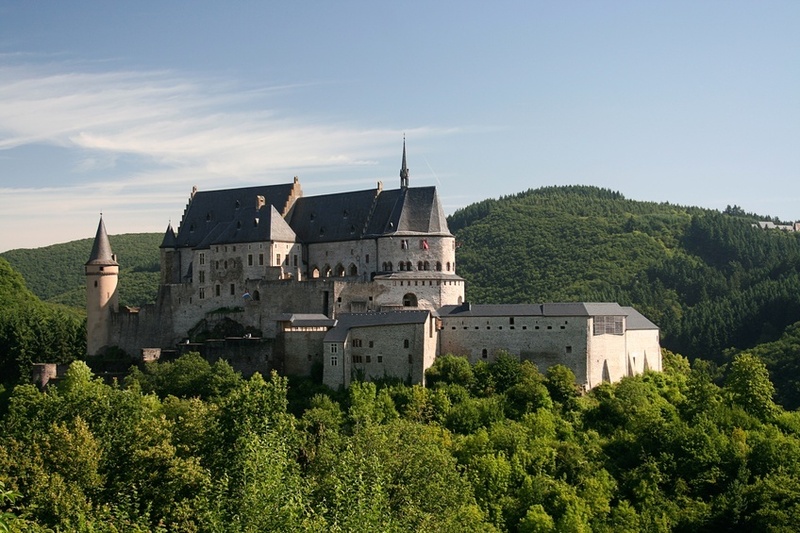 Like many countries in this part of the world, Luxembourg is closely associated with its many impressive castles…and Vianden Castle is the most impressive of the lot, with a stunning complex towering over the town, woods, and fields below. Beside the amazing view, you’ll find quite a lot within the walls themselves – namely historical artifacts (including preserved classical weapons). The town itself is charming albeit small, with a single cobbled road working its way through the classical old town. Still, with a castle like this, Vianden is an attraction you can’t afford to miss. An exceedingly small town (just over 300 people), Esch-sur-Sûre nonetheless is worthy of a side trip at least. Mostly surrounded by the Sûre River, it is a sleepy town where you can collect your thoughts and get away from the bustle of modern life. There’s a more than thousand year old castle here, contributing to the undeniably beautiful backdrop. While there isn’t much to do, there is a night market held once a year during the summer – giving the formerly quiet Esch-sur-Sûre a new sense of life. One thing that has an important place in Luxembourg’s society we haven’t mentioned yet is wine. 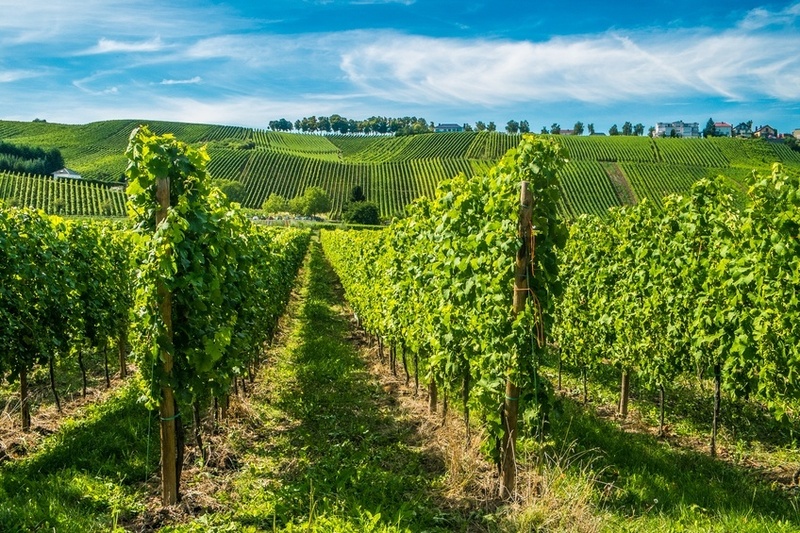 The drink is widely enjoyed throughout the country, so a visit to the premier wine region seems an appropriate diversion. Luckily the Moselle Valley (named for the river) is a beautiful place to sample what the country has to offer. Countless vineyards rest upon the banks of the river while the small villages and towns are ripped from fairytales. It’s not a large region, but that only makes it all that much easier to visit! 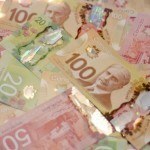 Flights between Pearson and Luxembourg City generally start around the $1000 Canadian mark. As many people who visit are coming from the more popular surrounding countries (France, Germany, Belgium), you might be better off finding a cheaper flight into one of these neighbouring countries and travelling to Luxembourg by bus, train, or discount airline. 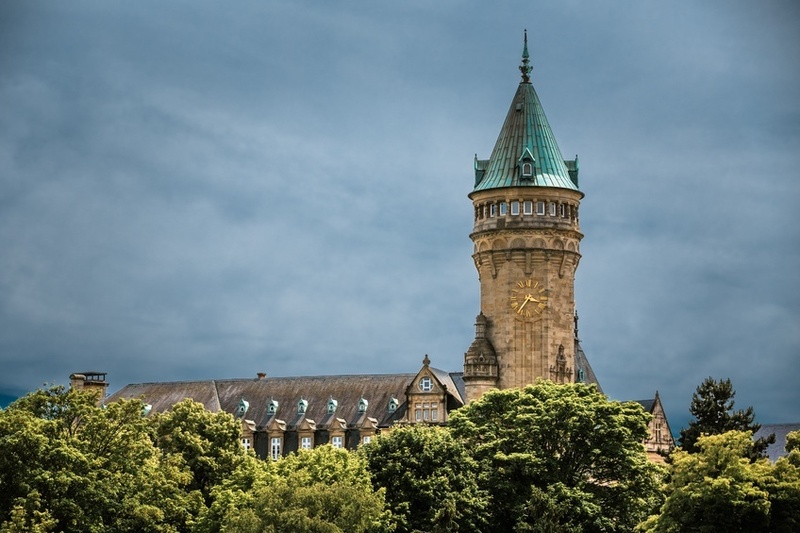 Be sure to shop around as Luxembourg’s proximity to multiple major cities and countries lends you a lot of options when it comes to getting there. How much does it cost to visit Luxembourg? Luxembourg itself is a relatively expensive country to visit, depending on what you’re doing and where you’re going. Average prices can end up at about $213 a day with a budget of $97 for accommodation and $100 for food. If you’re frugal, you can likely get by with about $92 a day while living the life of a Grand Duke will cost closer to $427 a day. Expect prices to vary depending on whether you’re enjoying city life or exploring the countryside. Luxembourg is a safe country with no nationwide advisory and normal security precautions recommended throughout by the Canadian government. Crime is low, though petty crime does occur in busy areas (especially transportation hubs or lodgings). Beyond that, just be aware of your surroundings and everything should be perfectly fine. 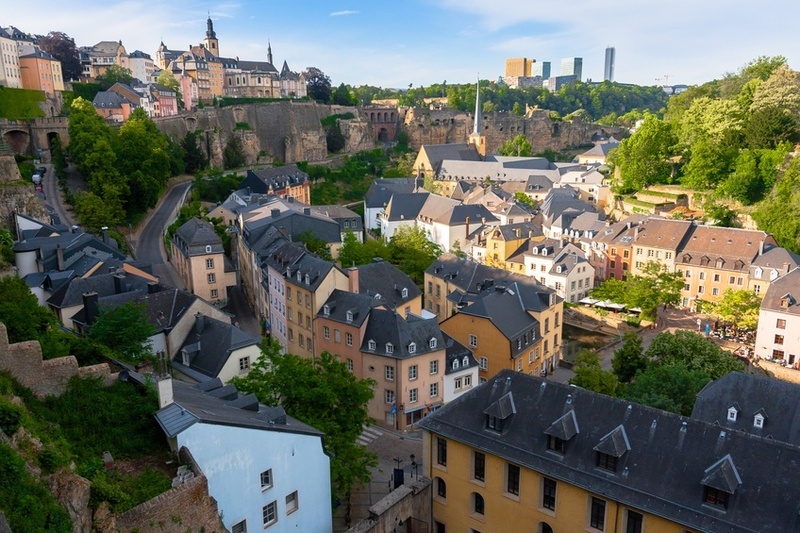 For more on travel safety, check out the Canadian Travel Advisory for Luxembourg. Share your experience in the comments section! You can also learn more about Luxembourg in the Country of the Week, then buy your euros with FXtoGO.